The celebrated sculptor, painter and printmaker Joe Fafard died March 16, at his home in Lumsden, Saskatchewan. He was 76. Joe Fafard was born in 1942 in the French and Métis community of Ste. Marthe, Saskatchewan. Raised on a farm in a family with an artistic heritage -- his mother was a folk artist and a descendant of a Quebec wood carver -- Fafard was encouraged in his artistic pursuits, and completed a BFA at the University of Manitoba in Winnipeg (1966) and an MFA at Pennsylvania State University (1968). Fafard taught at the University of Saskatchewan (Regina Campus) from 1968 to 1974 and was a visiting lecturer at the University of California at Davis from 1980 to 1981. Around that time Fafard began creating figurative sculptures, as well as the sculptures of cows that would become iconic throughout his career. His work during these teaching years was widely praised, and in 1973, he was chosen, along with five other artists, to represent Canada in Canada Trajectoires ’73 at the Musée d’art moderne de la Ville de Paris. Fafard's clay and bronze sculptures of individuals ranging from artists (Pablo Picasso, Saskatchewan-based Jan Wyers), to politicians (Tommy Douglas, Sir John A. Macdonald), to First Nations leaders (Big Bear) have been exhibited across Canada and in New York, Brussels, Belgium, and England. He received many large commissions for his work, including 1985's The Pasture, featuring seven bronze cows—a work commissioned by Cadillac Fairview for the Toronto-Dominion Centre. Demand for Fafard's large-scale cows, bulls, and horses was high enough that Fafard eventually opened his own bronze foundry in Pense, Saskatchewan. 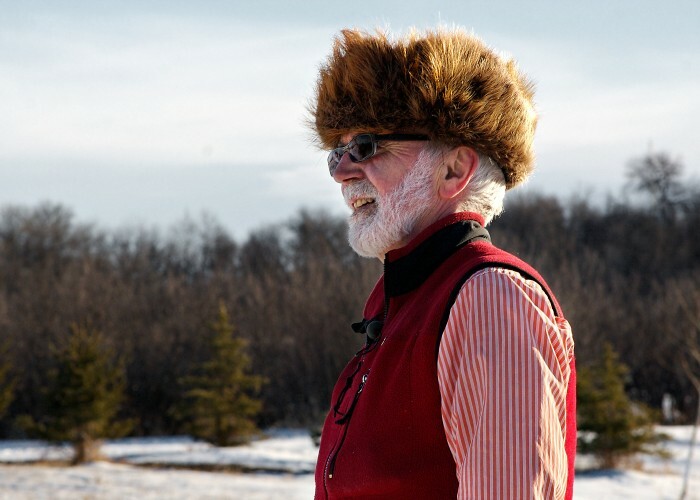 Fafard has received the Order of Canada (1981), the Royal Architectural Institute of Canada Award (1987), the Saskatchewan Order of Merit (2002), le Prix Montfort (2003), and the Lieutenant Governor's Saskatchewan Centennial Medal for the Arts (2005). In 1973, he was the subject of the National Film Board documentary I Don’t Have to Work That Big.